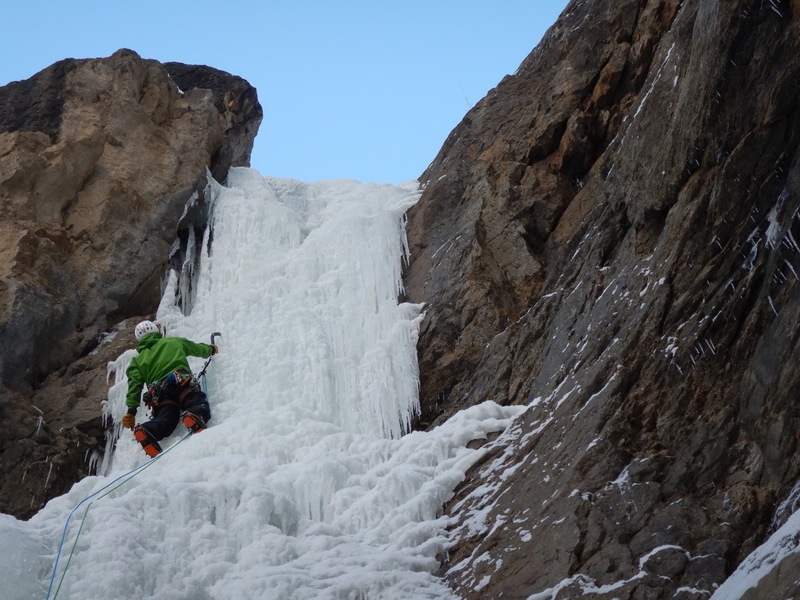 Fellow mountain guide Marco Delasalle and I climbed the Lady Killer ice route today and found favourable weather, ice conditions and reasonable avalanche hazard at this time. We parked at the normal pullout on the southeast side of TCH and did the short approach, there is cruxy small waterfall section to negotiate down low. The snowpack on the approach is a 5-8 cm mulch mixture of refrozen melt forms & facets. Getting decent flat footing was actually challenging due to low snow in a few spots. We brought avalanche companion rescue gear and wore transceivers all day but we felt the localized hazard was at around the low end of moderate at this elevation band. We were unsure on the snowpack depths at the Kicking Horse Canyon and had asked around but decided to bring avalanche gear just the same due to our uncertainty. The outer surface of the ice was somewhat leeched due to the last series of very warm storms and possibly some solar effect as well. 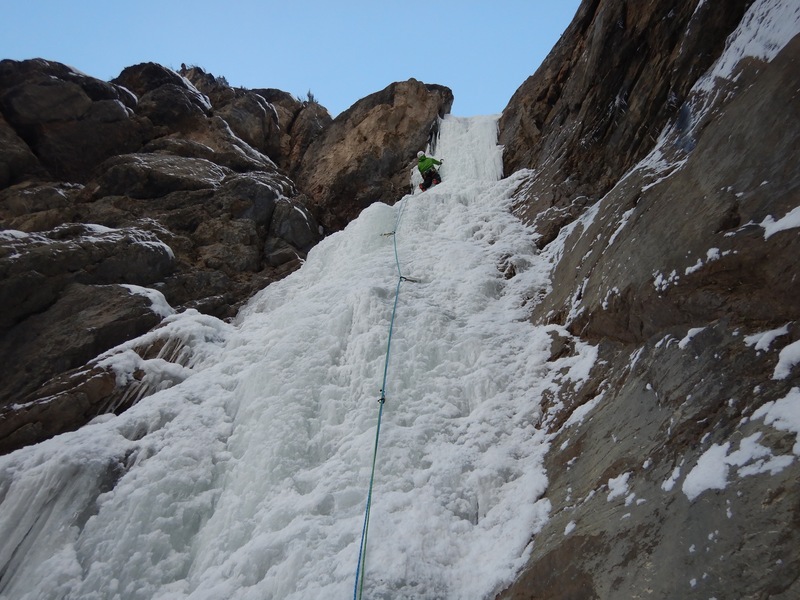 In spite of this, the ice on the route itself took good sticks and ice screws. The description grade calls this route WI3 but it is bit thinner and steeper at the moment and more realistically solid WI4 (pitch 2). The sun is on the route at 11:45 am this time of the year so early starts are good for this route.